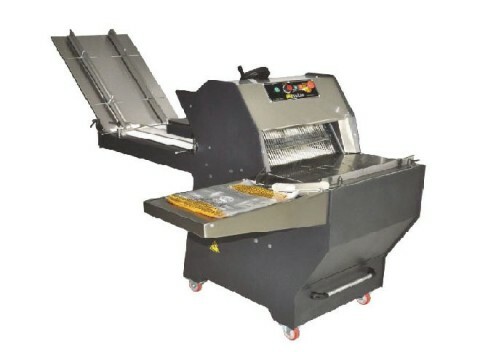 Machines for cutting of bread are compact, they don't take a lot of place and easily move due to existence of castors. Slices are cutting quickly, exactly and accurately. Cutting is carried out by means of the simple mechanism of levers in use. Thickness of the cut slices easily changes. Knives of a bread slicer are made of stainless food steel. In addition upon the demand of the customer automatic bread slicers are equipped with function of package and plotting of date.